We love Italian food. But there are some foods of Italy we especially love on a winter day, when the frigid temperatures (and in-season produce) make for the perfect stick-to-your-ribs pastas, soups, and other dishes. Coming to Italy in winter? Visit museums and churches without fighting the crowds, then warm up over a steaming plate of some of Italy’s most traditional, and delicious, comfort foods! This starch, similar to porridge, is a classic across northern Italy. Polenta is a very simple dish that can be made in dozens of ways, but polenta taragna kicks it up a notch by adding cheese, milk and butter to create a rich, creamy dish. 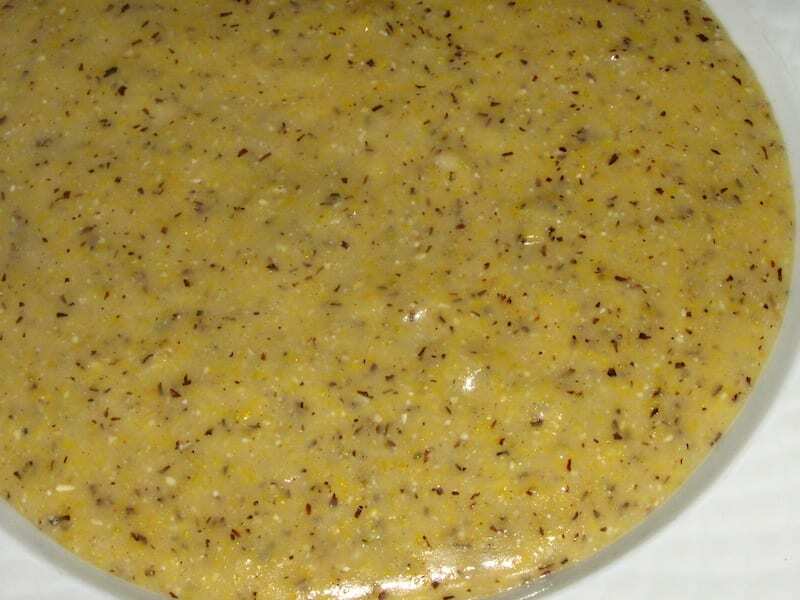 Polenta taragna comes from the Bergamo Alps and can be found in nearly all the little towns in this mountain range. Escape the cold with a warm, cheesy plate of polenta taragna and enjoy breathtaking, snow-covered mountain views! (Get the recipe for polenta taragna here!). Cassoeula often was eaten by the Milanese nobles in Lombardy. Today, it can fill anyone up, royal or not! 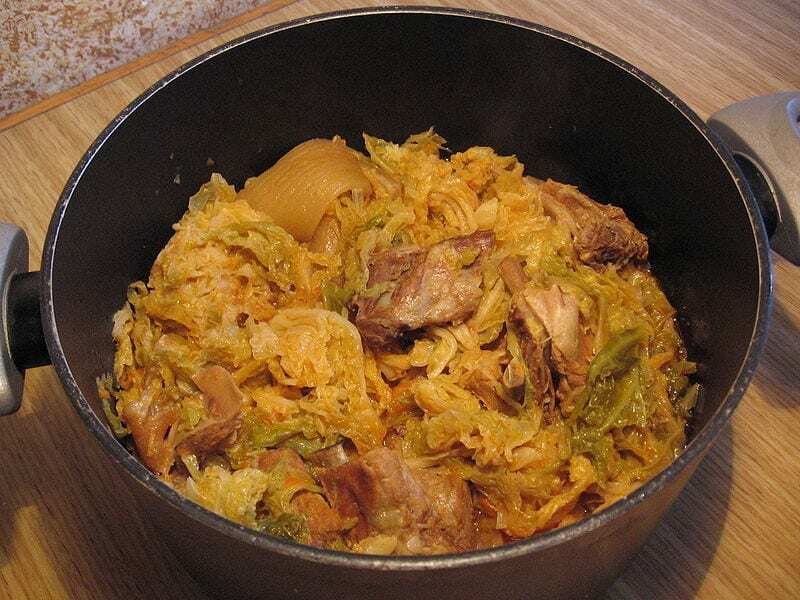 Cassoeula, named after the casserole dish it is cooked in, is made with cabbage, tomato purée, onion, celery, chopped carrots, pepper and a variety of pork (the ribs, sausage and tail). It’s tradition to eat this high-calorie dish after the first frost of the season so that the cabbage used will be ready and tasty. Follow suit and order the hot casserole dish; the strong flavors and rich combination are sure to warm you. (Or make it at home. Here’s where to find the recipe for cassoeula!). What better way to warm up and keep winter sniffles away than with a bowl of hearty soup? 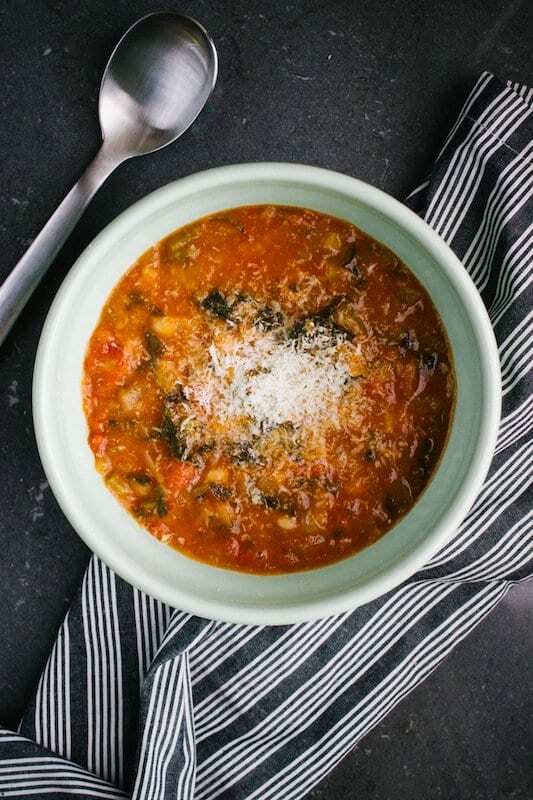 Ribollita is a Tuscan soup made with cannellini beans, vegetables and leftover bread. This “cucina povera” recipe was meant to use up all the veggies and stale bread in the house and, literally meaning “reboiled,” it’s said to be even better as a leftover. Sometimes the simplest things are just what the heart needs! (Get the recipe for ribollita here!). Order a plate of these warm marbles of potatoes covered in a classic Tuscan meat sauce, with just a pinch of Parmesan cheese on top, for the embodiment of “comfort food.” Or try some with a butter sauce and sage, or butternut squash gnocchi with a cream sauce. We’re sure you’ll enjoy each bite! (Here’s how to make gnocchi at home!). Layered with fried or grilled eggplant slices, tomato sauce and Parmesan cheese, and then baked, this gooey, melty dish is a crowd-pleaser and can be ordered as an appetizer or an entree! This classic Italian dish is claimed by both Parma in the north and Campania and Sicily in the south of Italy ,with slight variations between the different versions. So almost wherever you are you can enjoy this delicious vegetable dish! (Make eggplant parmesan at home here!). Baccalà, dried salted cod fish, is a favorite Christmas Eve meal, when Italians traditionally avoid meat. Served fried with potatoes, braised with onions and anchovies or fried in a classic tomato sauce, you can find baccalà throughout all of Italy in one of its many recipes and you’re sure to add this seafood to your list of comfort foods. 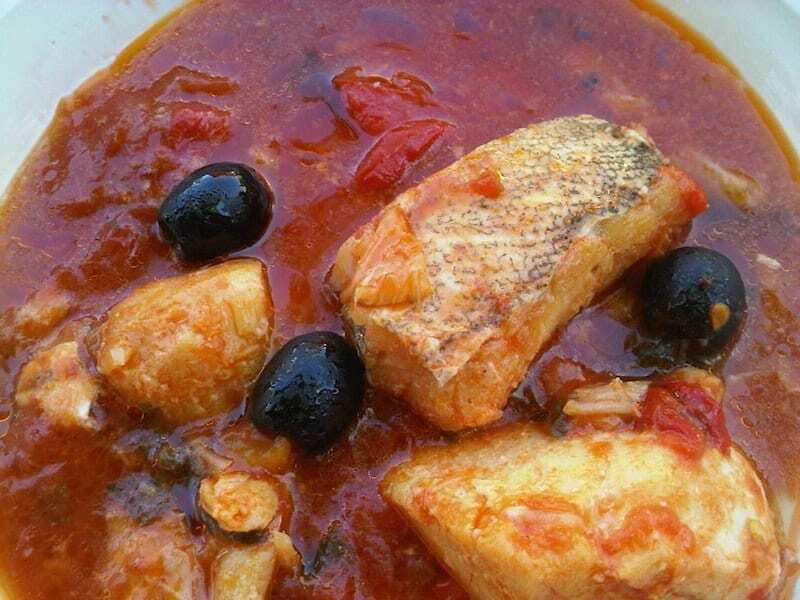 (Try the recipe for baccalà alla Vesuviana here!). 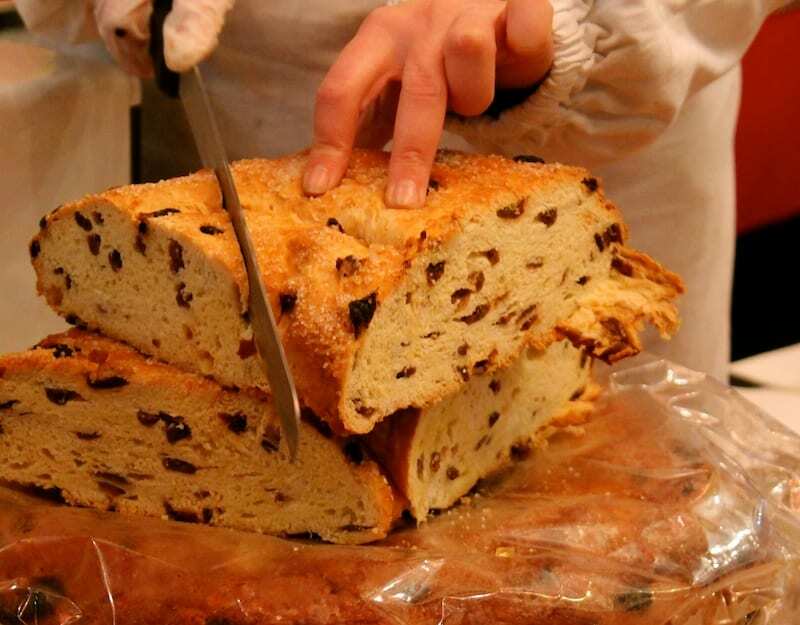 The most famous of Italy’s versions of Christmas breads (read about all of them here! 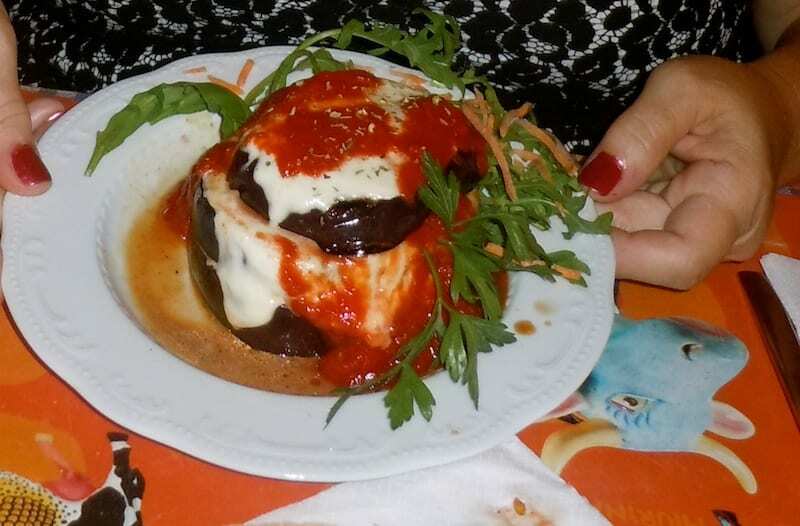 ), this is the Italian’s version of a Christmas cake. Though actually a type of sweet bread, panettone is considered a staple for Christmas and New Years celebrations. Eggs, raisins, candied fruits, butter and sugar are folded into already prepared dough and cooked to make this delicious yuletide dessert! And even after the holidays have passed, the deliciousness of this simple dessert can still be enjoyed all winter! Delicious list! Italian food has its own charm and I am sure winters are going to be so much less painful with such great food. I still regularly dream of proper gnocchi – so hard to find stateside that when I do it’s a little like winning the lottery! Delicious list, and I’ll definitely see if I can’t track down some Polenta Taragna when in Lombardia this year! Great post that talk about Foods Perfect for a Winter Day. 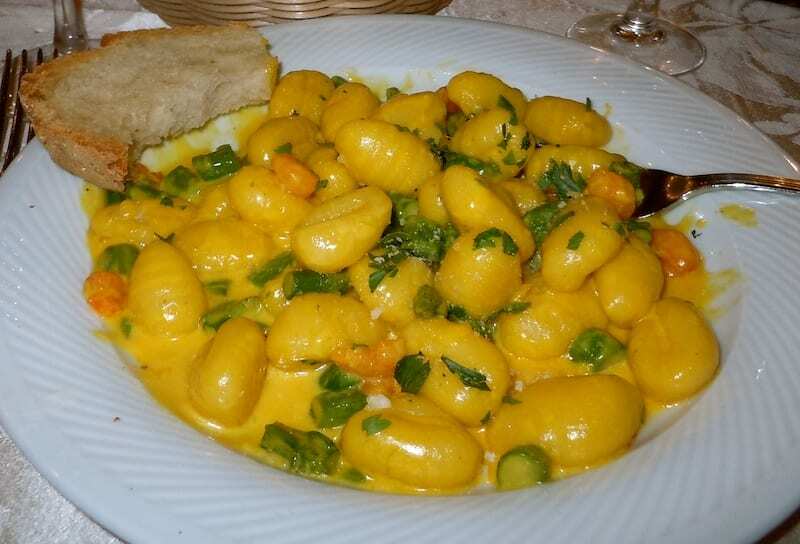 I really love Gnocchi with wild boar sauce. Thanks for this post! I conclude on the others. Thanks for the great inspirations. Last year we stay for 10 days in two diffenrent merano hotels in south tyrol. Culinary the best journey of my life. For a night we were able to bring back this days into everyday life. Thank you.